Vibrant HD AMOLED screen; Feature-packed S-Pen; Great for watching movies; Good 8 MP camera; Long battery life. Not ideal for single-handed use; Done-to-death design; Feels too plasticky; Tacky user interface; Expensive. The Company that made large-screen phones a rage, is back with yet another oversized handset. 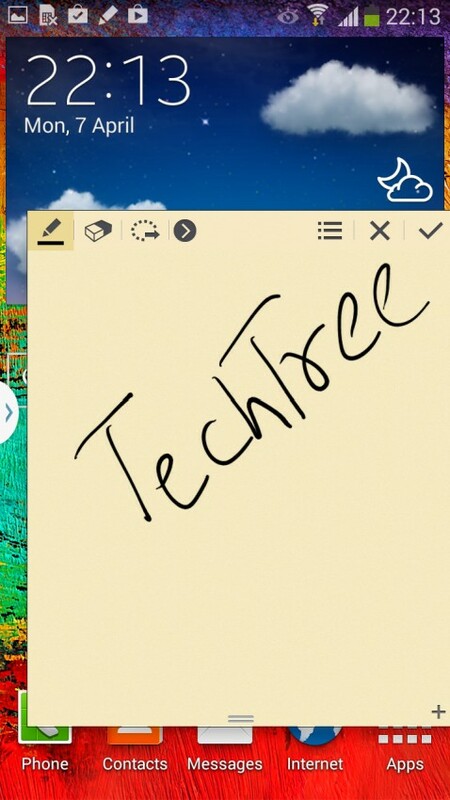 Dubbed as the Note 3 Neo, this smartphone sits right between the GALAXY Note 3 and its predecessor GALAXY Note 2. The handset packs in a "hexa-core" processor and 5.5 -inch HD screen. But is it worth the Rs 38,000 price tag? Let’s find out. Those too lazy to open another browser tab, I’ll quickly run through the basics. The Note 3 Neo features signature plastic body and rounded corners we've been seeing on Samsung phones for years. Also present is the faux-chrome finish on the edges and fake leather on its back. Makes us wonder why can't Samsung use real materials for a phone that costs as much as Rs 38,000? With a 5.5-inch screen, the Neo is slightly smaller compared to the original Note 3. That said, it’s too big for comfortable single-handed operation. 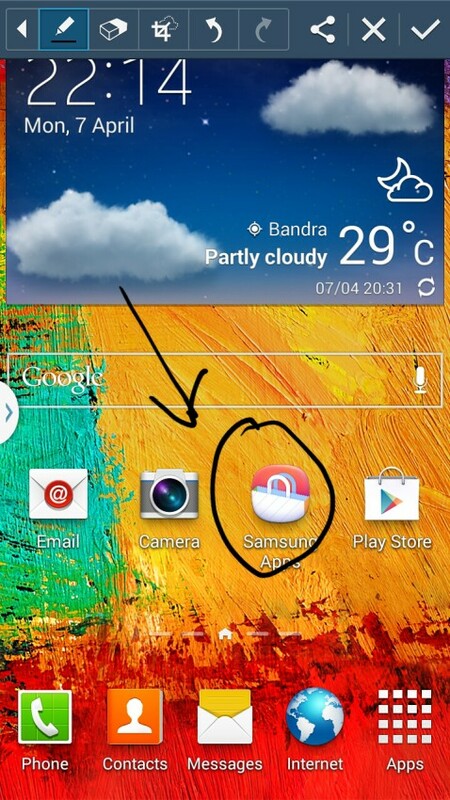 Navigation buttons are a standard Samsung affair. There’s a tactile Home button, sandwiched between the capacitive Menu and Back key. This makes the existing GALAXY users feel at home. The Power / Lock button is on the left, so you can easily reach it with your thumb. The volume rocker is on the right, and the stylus slot is at the bottom. Samsung uses quality screens in its premium phones, and the Note 3 Neo is no exception. What you get here is a 5.5-inch HD Super AMOLED screen. The display is vibrant — it makes the colour pop. The screen produces impressive levels of black. Although the pixel density of around 267 ppi sounds under- whelming, the screen looks quite sharp in reality. The display is bright too. The only let down here is the sunlight legibility. The Neo is powered by the Hexa-Core Exynos chip (1.7 GHz Dual Core Cortex A15 + 1.3 GHz Quad Core Cortex A7). The phones comes with an 8 megapixel camera with BSI sensor, 2 GB RAM, 16 GB internal storage, microSD card slot, and 3100 mAh Battery. If you were hoping to see Kitkat here, get ready for the disappointment. 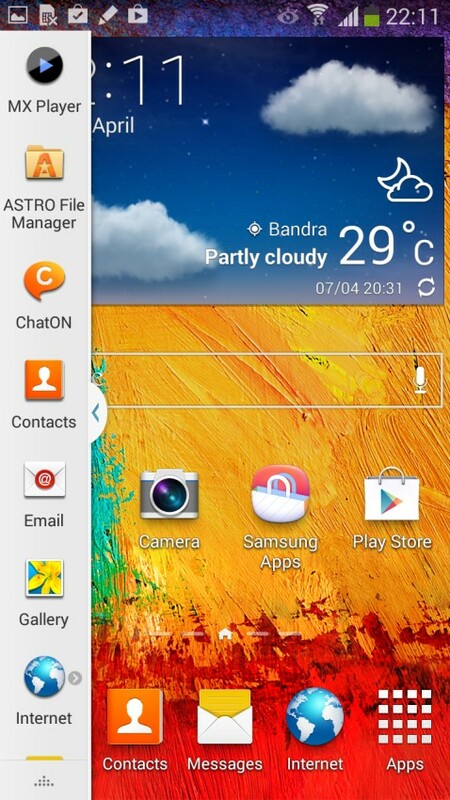 The Note 3 Neo ships with Android 4.3 Jelly Bean. 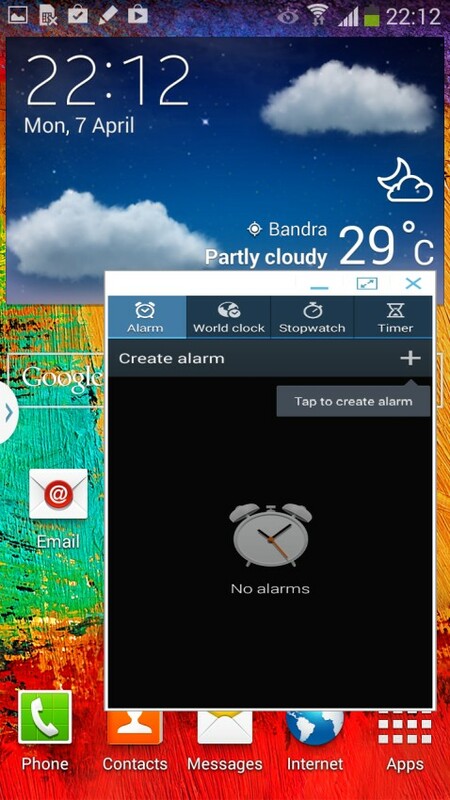 Since the phone features Samsung TouchWiz customisation, the interface looks exactly like what you get on the Note 3. 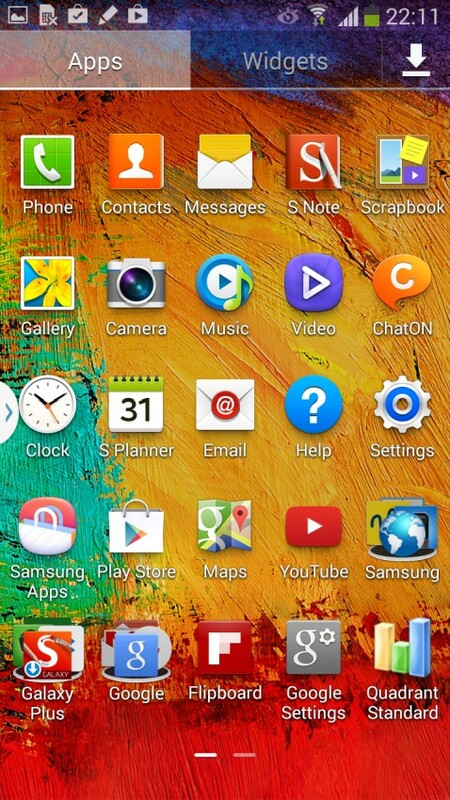 As many of you would already know, Samsung’s custom UI is too colourful and in-your-face. Although garish, the interface is mostly utilitarian. 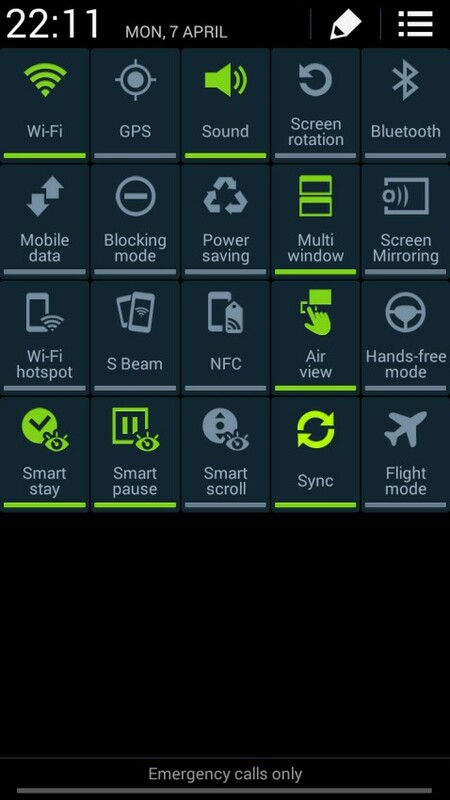 Apart from pushing updates, the notification bar offers quick access to brightness slider, Wi-Fi, GPS, and Silent mode toggles. On the other hand, the Quick Settings menu is a complete mess. Check out the third image from left to find out what I'm on about. This feature enables users to organise content and information from various sources including the web and gallery, all in one place. For instance, you can crop and save portion of a webpage or gallery image in scrap booker for future reference. These features work as advertised, which is a good thing. However, would you really want to draw a window on the screen for multitasking? Or does it really make sense to use a stylus over natural finger gestures? Well, these features are good for show off, but not something that can get your work done. As far as the menu navigation is concerned, the phone runs smooth. Most high-end games work well on this handset. The performance isn’t consistent though. It does stutter and lag once in a while. To gauge the phone’s performance, we ran popular synthetic benchmarks. The handset scored 31961 in AnTuTu test. In Quadrant, the Neo clocked in at 8074. To put things in perspective, here are the original Note 3’s scores — Antutu: 34,303; Quadrant: 20,281. The GALAXY Note 3 Neo’s sound quality is excellent. The bundled earphones are goo too. Samsung has thrown in plenty of equaliser and sound enhancements to play around with. Moving onto video playback, the Neo handles most 1080p videos without any issue. If in case it fails to play a certain video format, you can grab a third-party video player from Play Store. The Note 3 Neo sports an 8 MP camera with BSI (Back-Side Illuminated) sensor. Like most Samsung phones, the Neo lets you snap pictures while recording a video. This feature comes in quite handy. You also get different camera modes including Dual Shot, Drama Shot, Cinema Shot, Sound & Shot, Eraser, Best Face, and Beauty Face. For more details on these fancy features, check out our Samsung GALAXY S4 review. The Note 3 Neo produces images with plenty of details. The colours look natural, and noise is under control too. The only drawback is that it falters in low-light conditions. Moving onto video recording, the handset records 1080p videos at 30 fps. The video recorder does a good job at capturing detailed videos. Overall, the 8 megapixel camera does great in well-lit conditions. However, there's plenty of room for improvement in the low-light mode. The phone provides good network reception and voice quality. One weird thing I noticed about the phone is that it shows full network signal even if there's no SIM-card inside. The Note 3 Neo packs in a 3100 mAh Li-Ion battery. With normal usage, it easily keeps the phone powered for two days. In our 720p video loop test with brightness set to 60%, it lasted for over 11 hours. That's impressive for an Android device with 5.5-inch screen.